Who am I, where did I come from, where am I going, and how do I relate to God where I am in my personal existence? We have questions, God has answers! Let us find them together! Pastor Mike's emphasis is on creating positive relationships between those we encounter and the faith relationship between God and the individual person in a community contextualization. We are committed to doing the journey together while we search for the answers to life's challenges and to establishing a significant biblical expression of faith. Pastor Mike is a product of the area, born and raised in Marcellus, MI. He is an alumnus of Bob Jones University, Kalamazoo Valley Community College, Bethel College and received a Master of Christian Studies from Union Universtiy, Jackson, TN. 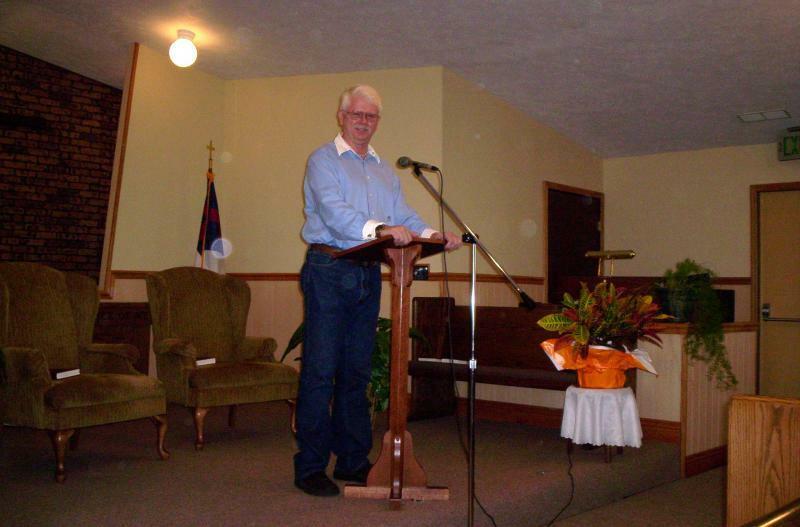 He was ordained in 1985 to the SBC ministry. He and his wife Linda have been married 28 years. Linda, a retired elementary teacher, is a graduate from Williams Baptist College and Western Michigan University. They have ministered at OBC since 1996.